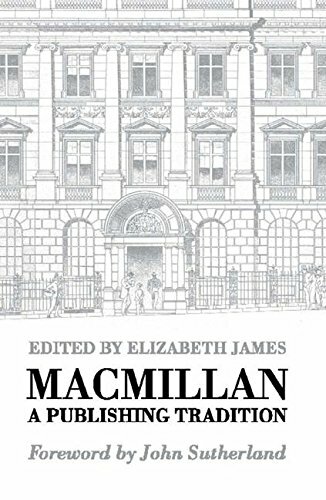 For over one hundred and fifty years, since its founding in 1843, Macmillan has been at the heart of British publishing. This collection of essays, representing recent research in the archives at the British library, examines the firms' astute business strategy during the nineteenth century, its successful expansion into overseas markets in America and India, its complex and intriguing relations with authors such as Matthew Arnold, Thomas Hardy, Alfred Lord Tennyson, W.B.Yeats, and J.M.Keynes, with additional chapters on Macmillan Magazine and the work of a modern children's editor. If you have any questions about this product by Elizabeth James, contact us by completing and submitting the form below. If you are looking for a specif part number, please include it with your message.